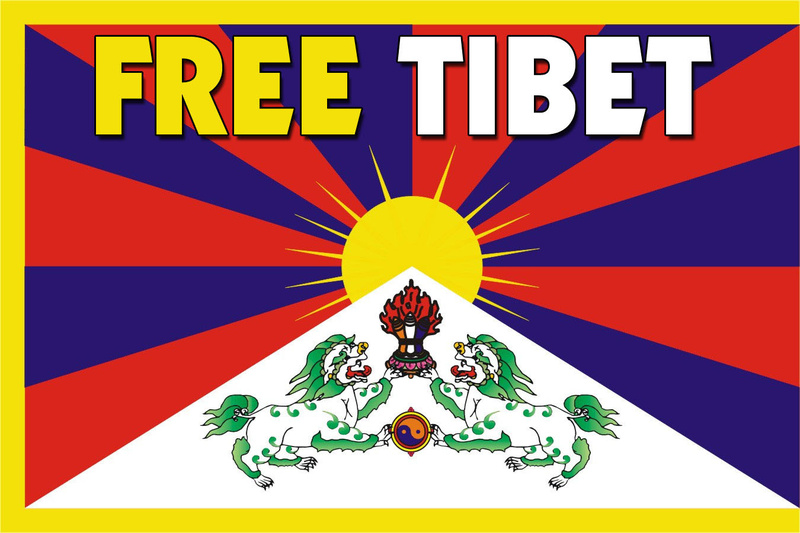 England / Tibet: Thousands Support Tashi Wangchuk – Demanding He Is Freed Now. 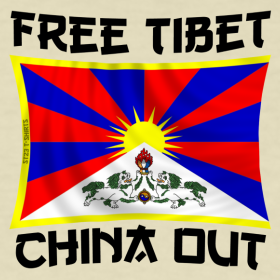 Free Tibet has this week submitted a 2,120 signature petition to the Tibetan authorities, demanding the release of jailed language campaigner, Tashi Wangchuk. The US and UK governments have also told us that they are taking up his case. Free Tibet has today submitted a 2,120 signature petition to the governor of Yushu Tibetan Autonomous Prefecture, demanding the release of jailed language campaigner, Tashi Wangchuk. 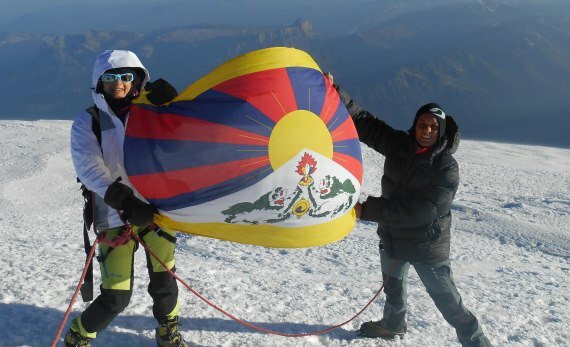 The petition’s signatures were obtained in just two weeks from Tibet supporters across the world. The US State Department responded to our urgent letter to confirm that it is following his case. At a meeting yesterday, the British Foreign & Commonwealth Office told us that it has added Tashi Wangchuk to its list of people of concern and intends to raise his case directly with China in the forthcoming UK-China Human Rights Dialogue. 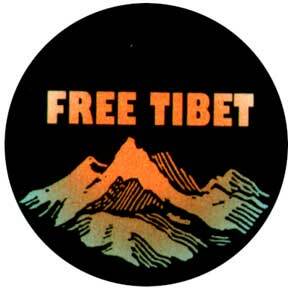 Free Tibet is urging supporters to contact their governments to maintain pressure for action on his case. Tashi Wangchuk was arrested in January after his peaceful campaign to improve Tibetan language education in his home area was featured in a New York Times article and film. In March, he was charged with separatism, a vaguely-defined offence that allows China to criminalise any activity by Tibetans it considers a threat. If convicted, Tashi Wangchuk could face 15 years in prison. His arrest followed a major New York Times article about his campaign. International media are normally banned from Tibet and it is very rare that the voices of Tibetans like Tashi Wangchuk are given a platform in this way. Even though Tashi Wangchuk stressed that his campaign was not political and even offered praise to Chinese President Xi Jinping, it is likely that his arrest was a direct result of the article and intended to act as a deterrent to other Tibetans. We, the undersigned, call on you to unconditionally release Tashi Wangchuk [[Ch: Zhaxi Wangchu], who was arrested on 27 January 2016 and charged with separatism on 4 March. His last known location was Yushu detention centre. Tashi Wangchuk was arrested apparently because of his peaceful attempts to improve Tibetan language education, which was featured in a New York Times article and video last November. 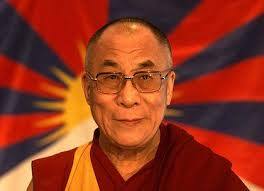 He appealed for change through official channels and did not advocate Tibetan independence. In his New York Times interview, he made clear that he was solely concerned with preserving Tibet’s culture and encouraged Chinese officials to aid Tibetans in doing so. He also offered praise to President Xi Jinping. Tashi Wangchuk’s campaign was to ensure proper implementation of the guarantees offered in Article 4 of the Chinese Constitution which states that “[t]he people of all nationalities have the freedom to use and develop their own spoken and written languages, and to preserve or reform their own ways and customs.” Article 41 states that “citizens of the People’s Republic of China have the right to criticize and make suggestions to any state organ or functionary” and that “no one may suppress such complaints, charges and exposures, or retaliate against the citizens making them”. 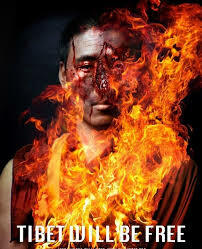 The New York Times articles have ensured that Tashi Wangchuk’s unjust treatment is receiving worldwide attention. In accordance with his universal human right to free expression and his rights under the Chinese constitution, we urge you to drop all charges against Tashi Wangchuk and to immediately and unconditionally release him. Please write to your Foreign Minister, calling on them to urge the Chinese authorities to immediately and unconditionally release Tashi Wangchuk. USA: Defenders of Wildlife – Little Time Left – Can You Help U.S. Animals ? If you love wolves like I think you do, I need you. We’ve only raised a quarter of our emergency match target, and there are only three days left to reach our goal. 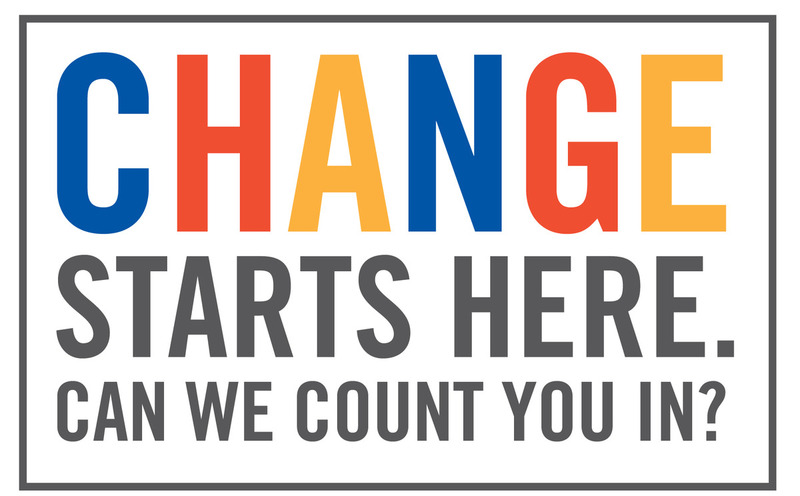 I’m counting on you, please donate today to our emergency fund. Your gift will matched dollar-for-dollar, up to a total of $100,000, until midnight April 30th. Now is the time to donate to Defenders of Wildlife’s emergency fundraising campaign. Your donation will be matched dollar-for-dollar, up to a total of $100,000. Make no mistake, most Americans believe in protecting imperiled wildlife. But a growing chorus of extremist voices powered by self-interest, hatred and greed has gained the upper hand. Mark, you and I are the true voice for wildlife in America. I sincerely believe that with you at our side, we can turn back these appalling attacks. But for many species, we’re running out of time. If you love wildlife like I think you do, please stand with us today by making a generous donation. And thanks to our Board of Directors and National Council, from now until April 30th, your wildlife-saving generosity will go twice as far! Thank you so much for your generous gift to protect the wildlife we all love. Your donation is hard at work saving the wildlife you love. And thanks to our emergency match, it’s going twice as far! No responsible American would support these shameful attacks on our wildlife. With your help, we’ll make sure America’s true voice on the matter wins in the end. Want to help even more? Wildlife adoptions support Defenders’ work to protect and restore the wildlife and wild places you care about. Make an additional donation by adopting an animal. Save 15% using promo code DEFENDER at checkout. 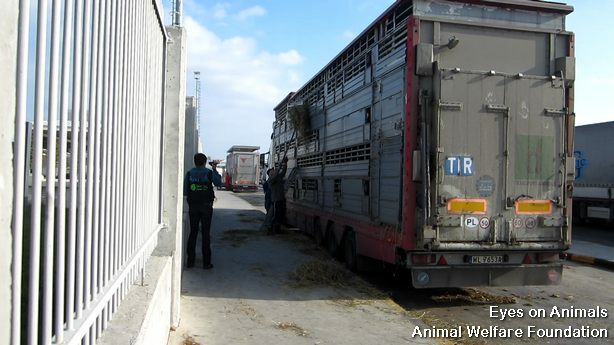 Please ensure you keep up to date with the latest about EU live animal exports to Turkey. 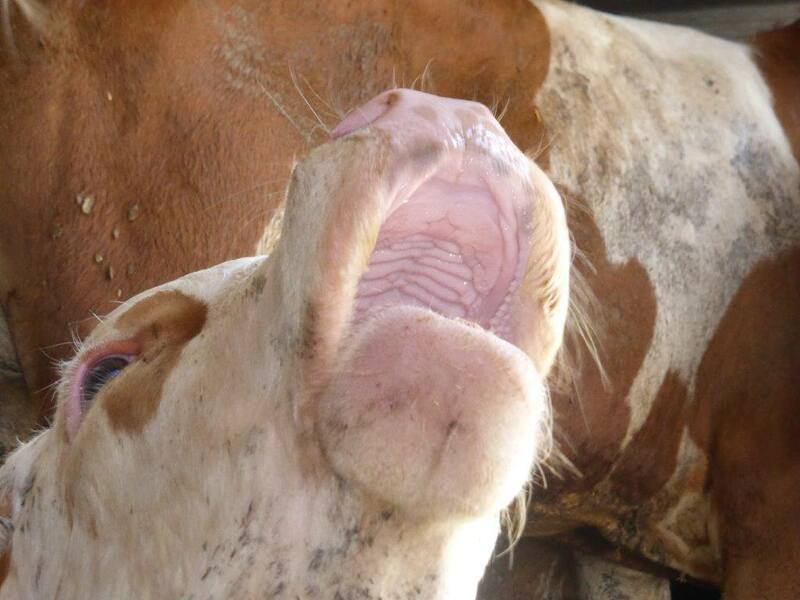 Click on here – https://serbiananimalsvoice.com/2016/04/27/update-27416-live-animal-exports-turkish-border-sample-letter-to-copy-and-send/ – we need to put pressure on the EU Commission to change things !! 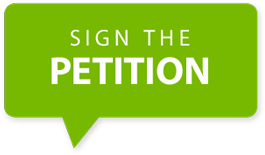 Please also watch the video and then sign the petition – Thanks – SAV. Please click on the following link to read the full article and see all the disturbing photographs. Only part of the text is repeated below. Reproduced from a takepart article – 28/4/16. Link above. Michael Kodas is the associate director of the Center for Environmental Journalism at the University of Colorado Boulder and the author of High Crimes: The Fate of Everest in an Age of Greed and the upcoming book Megafire. KENYALA, Indonesia—The orange-furred toddler survived one of the most destructive wildfires on record, but with a plastic tube leashing her neck to the porch of a small hut, she hardly appears to have found salvation. A villager, Kasuan, who like many Indonesians goes by one name, found the orangutan cowering from wild dogs last fall, perched in one of the surviving oil palm trees in a scorched plantation near the burned forest that had been her home. The rest of her family, Kasuan tells me, perished in the epic forest fires that overtook Kalimantan, the Indonesian portion of Borneo, as woodlands were burned to make room for plantations that harvest palm oil, a $50 billion business. The ubiquitous ingredient is used in half of the packaged food and cosmetic products found on supermarket shelves, from Oreo cookies to Colgate toothpaste. At least nine of the highly endangered primates died during last year’s conflagrations. Three weeks before I arrive in March, three more orangutans, all of them female and one of them a baby, burned to death when the annual fires ignited months early. The orangutan population has fallen 50 percent over the past 60 years to around 50,000 individuals, and 55 percent of its habitat has been lost to palm oil plantations, logging, and other development since the 1990s. Rescue workers from the Borneo Orangutan Survival Foundation plan to visit the village to take the would-be pet to one of their sanctuaries for rehabilitation and reintroduction into the wild. But they had better arrive soon. Another baby orangutan held by villagers here was reportedly sold to a manager at a nearby palm oil plantation, likely for resale into the illegal pet trade. The foundation is rapidly running out of forests in which to release rehabilitated orangutans. Nonetheless, at least one villager thinks the orangutan is better off than the humans here. “If I could change into an orangutan, I would,” says the villager, who is named Langkai TN. He pointed out how much attention the international press gives the redheaded primates while ignoring the suffering of indigenous communities such as his. He endured months of smoke, lost farm fields to the fires, and was sent to jail for six months when he marked the boundaries of his land to keep rapidly expanding palm oil plantations from taking his property. “If I was an orangutan, maybe you would carry me out of here,” Langkai TN says. Last fall, most of the human and animal residents of Borneo were trying to escape the smoke and flames overtaking the third-largest island in the world. For more than 20 years, Indonesia’s annual burning season has devastated human health, endangered animals, and accelerated climate change. The fires are even worse when El Niño brings drought to the nation, and last year’s record El Niño drove infernos with near biblical intensity. The conflagrations, according to conservationists, threaten one-third of the world’s remaining wild orangutans, as well as the nation’s highly endangered clouded leopards, sun bears, Sumatran tigers, rhinos, and elephants. But the impacts of the fires spread far beyond the burning forests and peatlands. Last year Indonesian smoke, an annual blight on the region known as “the haze,” forced more than half a million people as far away as Thailand to seek treatment for severe respiratory problems. Indonesia dispatched warships to evacuate villagers who were trapped for months in the toxic orange fog but not before at least 19 people, most of them children, choked to death. The World Bank estimates last year’s fires cost Indonesia at least $16 billion, more than twice the price tag of the 2004 tsunami that devastated the country’s Aceh province. On 40 days last fall, wildfires in Indonesia released more greenhouse gas than the entire United States economy. 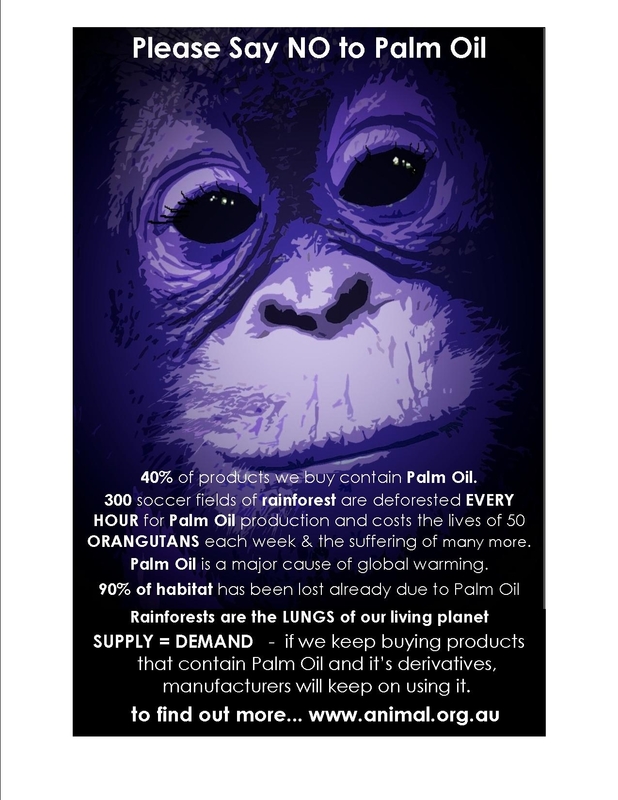 Environmental activists in the West tend to focus on saving Indonesia’s forests and wildlife by pressuring multinational corporations to buy sustainably produced palm oil. The reality on the ground, though, is more complex and offers a lesson for those fighting for forests around the world. Corruption, a dysfunctional legal system, and the role of thousands of small farmers in the burning all fan the flames of the fires set by palm oil producers. Increasingly, Indonesians are taking matters into their own hands to fight the fires at their source, the carbon-rich peatlands that underlie Borneo’s and Sumatra’s forests and that can spontaneously ignite an inferno. And the key to fighting palm oil deforestation maybe something as simple as a map. Indigenous Indonesians like those in Kenyala have practiced slash-and-burn agriculture for centuries, but the nation’s apocalyptic fires only started burning 20 years ago. 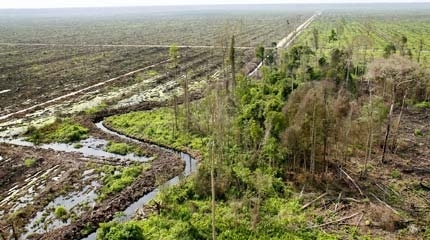 Late in his long dictatorship, Indonesian President Suharto attempted to end food shortages in the world’s fourth-most-populous nation by carving a rice farm the size of Connecticut out of the vast peat swamps of Kalimantan. In the late 1990s, his Mega Rice Project cut 2,920 miles of canals through the landscape to drain the soggy peat. When it was dry, the peat was a rich mulch for farming but also an enormous bed of woody fuel for fires. Since then, most of the greenhouse gases, haze, and volatility of Indonesia’s infernos have originated not in the dense rainforest but in the peat—the spongy layer of partially decayed and waterlogged vegetation that extends as far down as 60 feet beneath many of the forests in Kalimantan and Sumatra. Peatlands hold up to 28 times more carbon, accumulated over centuries, than rainforests growing on mineral soil. The peat is about as carbon rich as the coal it will turn into. As in coal seams, fires in peat can burn for years, can travel in unpredictable directions underground, and are notoriously difficult to locate and snuff unless the peat is kept wet. Suharto’s project has produced mega-fires virtually every year since the first canals cut into the peat but no rice. In the years since, large Indonesian and foreign corporations and small farmers alike have dug thousands more canals to convert peatlands to palm oil plantations. That’s turned one of the planet’s most effective carbon sinks into one of its biggest sources of climate-warming gases. 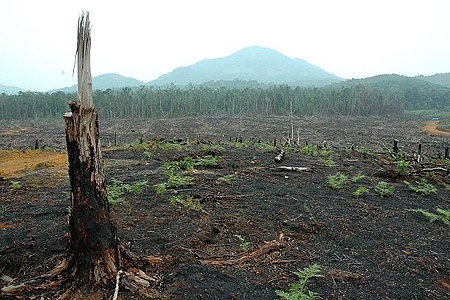 A single acre of peatland rainforest can release 15,000 tons of carbon when it’s converted into a palm plantation. If the dry peat ignites, it can release the carbon it has been accumulating for centuries in a matter of days. Flying into Sumatra on a visit in August 2014, I saw grids of canals beneath clouds of smoke, but I didn’t understand how they were connected until I landed and traveled into the palm oil plantations of Riau province. With my first step off the road, I sank up to my shin in the peat. Fires deep in peatlands are extremely difficult to reach on foot, and the techniques used by American wildland firefighters—digging a line of unburnable mineral soil around the blaze—don’t work where the ground itself is a deep bed of wood chips. Peat fires can burn undetected for weeks, burrowing beneath unburned forests and rising randomly to ignite the jungle. At one blaze that has been burning for weeks I joined a dozen men in flip-flops and T-shirts from a collective of small farmers. They dug 10 feet into the peat to reach groundwater but struggled for an hour to draw enough water for a single hose to spray down the smoky forest. They never ventured far from the road to engage the fire. I could see why when I made my way across burned and rotting logs that bridge canals and occasionally sank to my knees in the drained peat. Smoke rose from the ground to my north and south and sometimes from my footprints. I stood on something akin to a field of charcoal that could ignite beneath me at any moment. Down the road I saw a farmer named Sarino strip to his threadbare briefs and jump into a canal with a small bucket to throw water on the flaming peat in his fields. After he climbed out, he stomped the embers with his bare feet. Behind him, one of three helicopters fighting the blazes overtaking Riau dropped buckets of water on a burning acacia plantation. “The helicopter has been coming for almost two months to fight the fires,” Sarino told me. He said he doesn’t know who ignited the fire, but it started near the plantation. Sarino raises an Indonesian vegetable called caladi, along with oranges, cassava, limes, and bananas, but, he said, no oil palm. Seedlings of the tree, however, filled dozens of pots sitting between his house and the burning field. I wondered whether he would soon add palm to his portfolio of crops. And whether he might have started the fire he was trying to snuff. Almost all of the fires in Indonesia are started by humans, most of them clearing fields for farms and plantations. 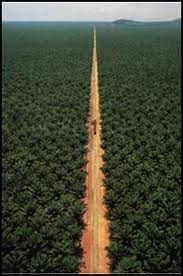 Images and links from the past that we have produced on this site in relation to palm oil devastation. USA: Project Coyote Latest News – Two Victories for Bobcats! I wanted to make sure that you didn’t miss last week’s email announcement (below) of two recent victories for wildlife that Project Coyote supporters helped make happen. I am pleased to share even more great news for wildlife: Just yesterday Project Coyote, the Animal Legal Defense Fund and allies settled a lawsuit with Mendocino County in California that requires the county to immediately suspend its contract with the USDA Wildlife Services agency that administers its predator control program- pending a full environmental review as required under the California Environmental Quality Act. This federal agency kills hundreds of coyotes, bears, mountain lions, bobcats and other wildlife annually in Mendocino alone. This precedent-setting case made front page news in today’s San Francisco Chronicle which you can read here. Such victories are possible because supporters like you share Project Coyote’s concern for native carnivores and other wildlife. With your help, we will continue to knock down destructive predator control practices and build support for peaceful coexistence through the courts, the legislature, and in communities across North America. Please continue your support of Project Coyote by making a donation today. I am thrilled to share with you two victories for bobcats! Last week the California Fish and Game Commission denied a proposal by the California Trappers Association to repeal the bobcat trapping ban that you helped out in place last year. We are very pleased that the commissioners* stayed firm in their decision to support the hard-fought bobcat trapping ban. I’m proud to report that 12 Project Coyote representatives and supporters, and 11 students from Manor Elementary School in Fairfax, testified before the Commission. They spoke on behalf of bobcats and in support of our two petitions (with the Center for Biological Diversity) that would ban night hunting and trapping in places where wolves are recovering. I hand delivered more than 3,000 letters from supporters to the Commission supporting the ban. Thank you for acting to protect California’s wildlife! Both petitions are moving forward with agency staff. We will keep you posted on their progress. On April 13th the New Hampshire Fish and Game Department rejected a proposal that would have opened the first bobcat hunting and trapping season in the state since 1989. Project Coyote’s New Hampshire representative Chris Schadler has been deeply involved in this issue, along with a statewide coalition of conservation and animal protection organizations. Thousands of New Hampshire residents weighed in to express their support for bobcats remaining safe in the wild and not cruelly trapped or shot for sport and profit. Read more here and here. It is so encouraging to see those who appreciate wildlife taking a stand to protect native carnivores from those who enjoy killing them. We are the majority and we are showing up in greater numbers. Through our Keeping It Wild youth program, young people are lending their impassioned voices to Project Coyote actions to protect wildlife. We applaud their energy and look forward to seeing them play a greater role. Project Coyote is at the forefront in mobilizing grassroots support for bobcats, coyotes, wolves and other predators. We need your help to continue this important work. A one-time gift or a monthly donation–at any level–will help defend wildlife and promote co-existence. Thanks to you and to our allies, bobcats are safe from traps in California and New Hampshire. * California Fish & Game Commissioners Eric Sklar and Anthony Williams voted in support of maintaining the trapping ban while Commissioner Jacque Hostler-Carmesin voted in support of the California Trappers Association’s proposal to repeal the trapping ban. England: Did You See The Fur Farming Programme ? – Watch It Here On BBC iplayer (UK Residents Only). Did you see it last night? On BBC2 at 9pm yesterday evening, Reggie Yates went to a Russian fur farm in the latest installment of This World in his programme, Inside The Billionaire’s Wardrobe. Sable, mink, arctic fox…even- shockingly- a wild lynx, lived out a sad existence, trapped in tiny, barren wire cages on a huge Russian fur farm. Stereotypical behaviour was abundant, suffering was rampant. Reggie Yates, when visiting a Russian fur farm, Inside The Billionaire’s Wardrobe, 2016. UK residents can watch the programme on BBC iPlayer here. 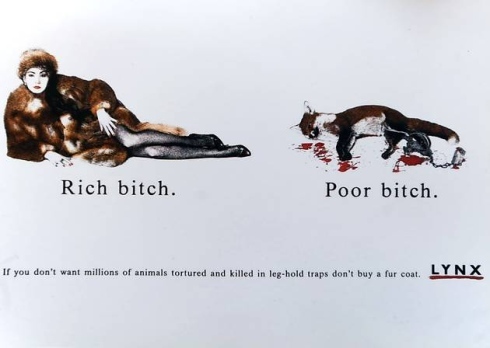 It doesn’t make for easy viewing, but underlines why our anti-fur campaign and your support is so important. Respect for Animals led the campaign that finally got fur farming banned in the UK- but there’s so much more still to do to stop this suffering. Ask your MEP to make a difference in the battle against the fur trade. Help bring about a fur-free EU. Click here for more. Sign our petition asking Harvey Nichols to abandon it’s ‘luxury’ fur range. We are asking Harvey Nichols to abandon its ‘luxury’ fur range. 12,000 have already joined us. Click here to support our campaign against the fur trade. 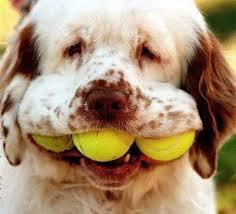 We rely entirely on donations, please help us in any way you can. More than 8500 of you have already signed our letter to Canada’s new prime Minister, Justin Trudeau, asking him to end the brutal seal hunt. Thank you. If you haven’t already, then click to view our template letter and add your name. Don’t forget to share it with your friends and family, the seals need us. Update 27/4/16. 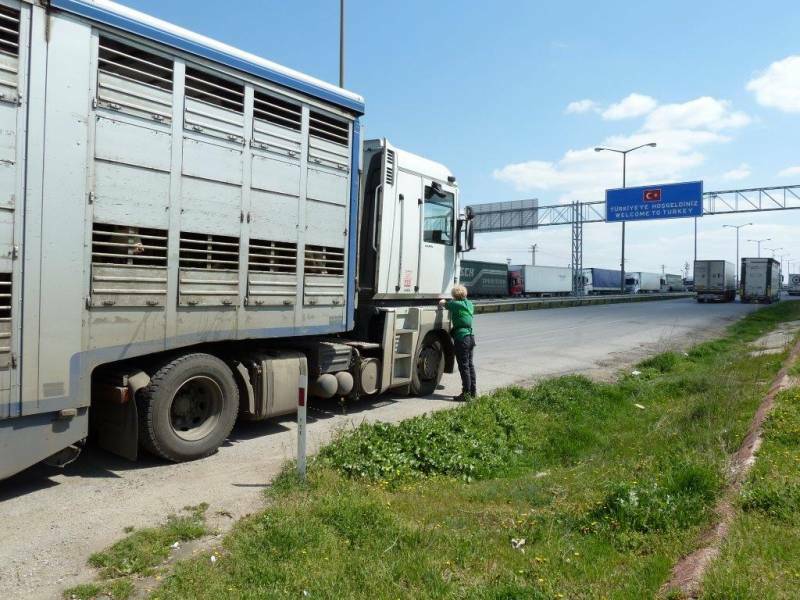 Live Animal Exports – Turkish Border. Sample Letter To Copy and Send. Update 27/4/16. 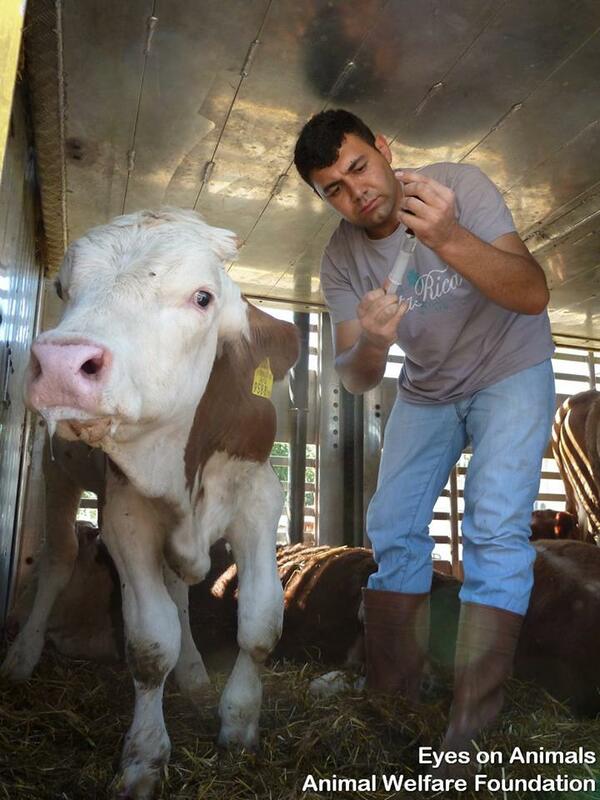 Live animal exports – Turkish border. On 5/4/16, Mark telephoned Mr. Marco Valletta at the EU DG (Commission) for Health and Food Safety. Mr. Valletta is directly responsible at the Commission as part of Commissioener Vyetenis Andriiukaitis’ team with responsibilities which directly include animal health and animal welfare. As you can see in the first link given above, Mr. Valletta was sent a copy of the EoA video in relation to the situation at the EU / Turkish border. As we stated in our post of 6/4, we are waiting now to hear back from Mr. Valetta about a) his views on the evidence provided in the video, and b) what actions he is going to take to rectify the situation for the hundreds of animals which suffer at the border. The situation is that as of today, 27/4; we have had no response whatsoever from Mr. Valletta or the EU Commission since the discussion which took place on 5/4. Despite promises of some action, there has been nothing from the man who allegedly represents ‘animal health and welfare’ at the Commission – Mr. Valletta. And so today (27/4) Mark has once again telephoned the EU offices of Mr. Valletta. This time they were both unable to discuss as Mr Valletta was not around, but after explaining the situation of no response to his assistant, Mark declared his wish for a formal response on the situation from the Commission. 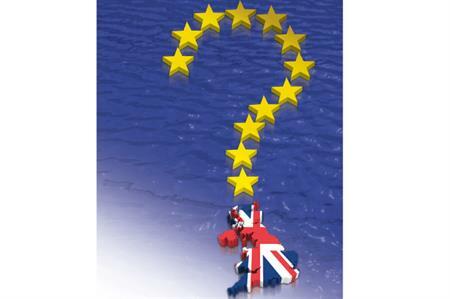 For non EU supporters, this is another example of just how the EU is getting out of control; dragging things on and on; getting nowhere – and (for example) where UK citizens are contributing £150 Million a week towards the EU and being in the ‘club’ – and then we never even get a response !! Is it any wonder lots of Brits want to get out of the EU ? 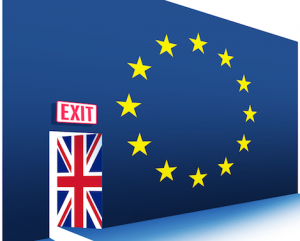 – the whole EU thing has now just become a complete farce. If you wish to send a mail to Mr Valleta regarding the situation for live EU animals exported from the EU to Turkey, then here below is a sample letter to copy and send; or alternatively, modify and send. Re EU live animals exported to Turkey for slaughter. 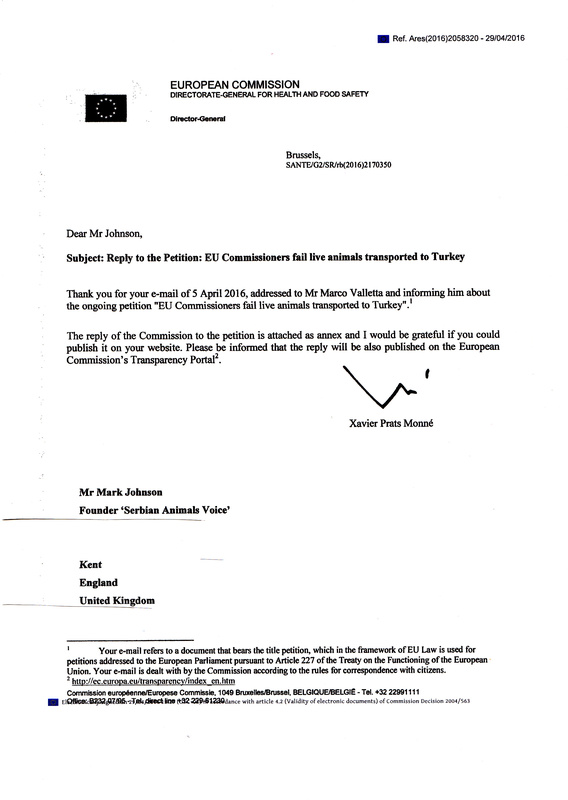 As the alleged person responsible for both ‘animal health’ and ‘animal welfare’ in the Health and Food Safety Commission of Vytenis Andriulaitis; I am more than surprised to learn that you have not even seen the video footage provided by ‘Eyes on Animals’ of EU animals suffering during transport to Turkey. In other words, you have ignored the problem here of extreme bad animal health and welfare for at least the last five years since the video was first made. 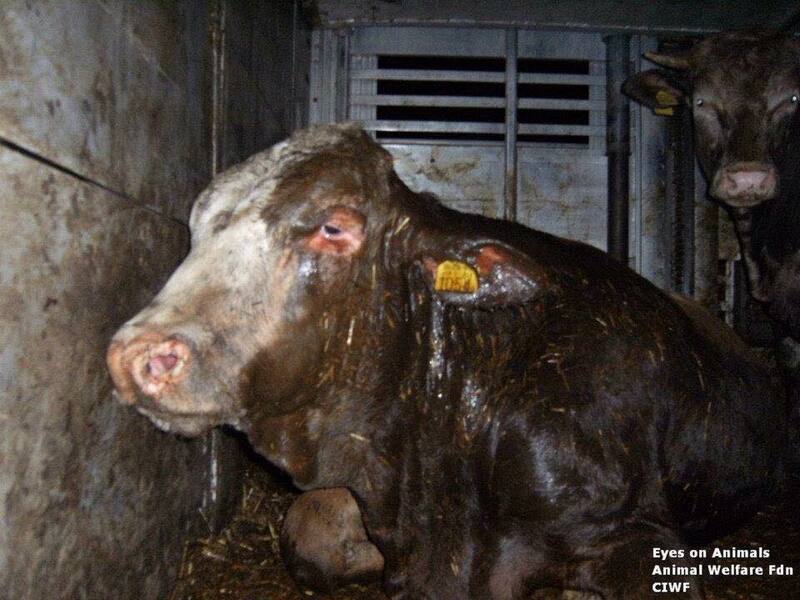 As the video clearly shows, Article 13 of the Treaty of Lisbon, as well as EU Regulation 1/2005 for ‘the protection of animals during transport’, are both being clearly violated and flouted; and despite the clear evidence, still you do nothing. This constant expose which has lasted for many years shows that you really care very little about animal health and welfare, otherwise you would have acted before now and stopped such situations as shown from taking place. Your failures and lack of actions are doing nothing to promote the usefulness of the Commission which you represent; and especially the terms ‘animal health and welfare’. 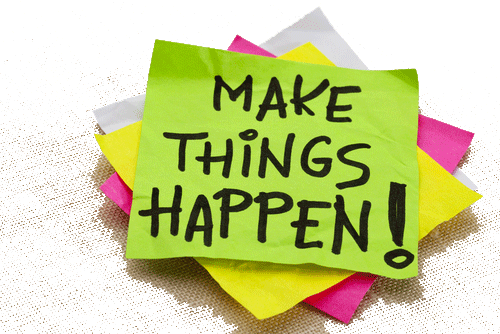 We need action and we need it now. 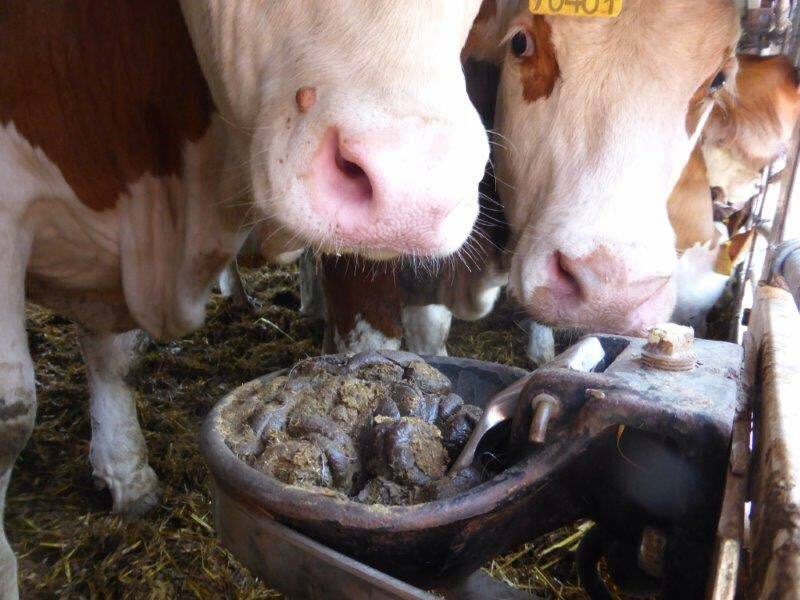 Please sort out the problem or alternatively, step down from your position in the Commission and let it be taken by someone who will act – as you certainly do NOT represent good animal health and welfare. 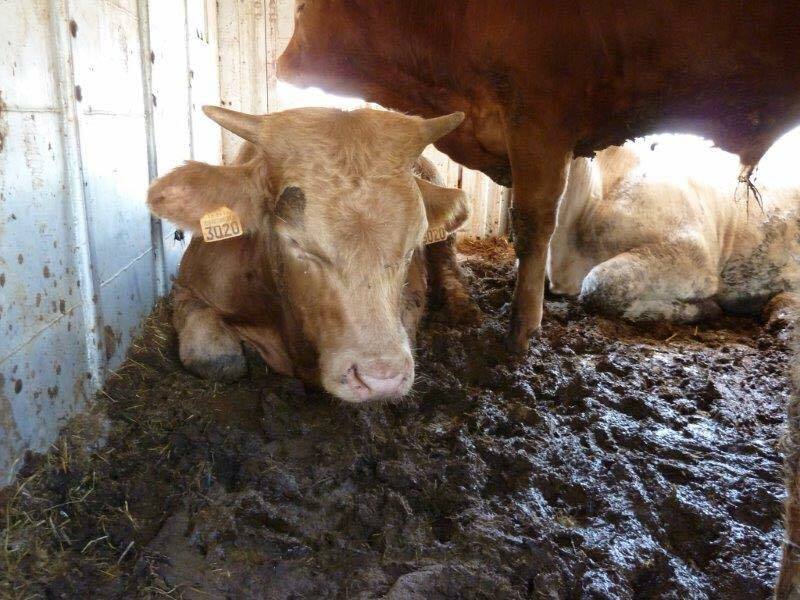 Take action immediately to resolve this problem of live animal suffering at the EU / Turkey border; lets not have to wait another 5 years for still no EU Commission action. and will encourage as many people to support this until you act and represent animal welfare as your Commission title suggests you do. You are paid a good salary at the EU to enforce the regulations in areas which you are responsible for – ie animal health and welfare – so do it ! !